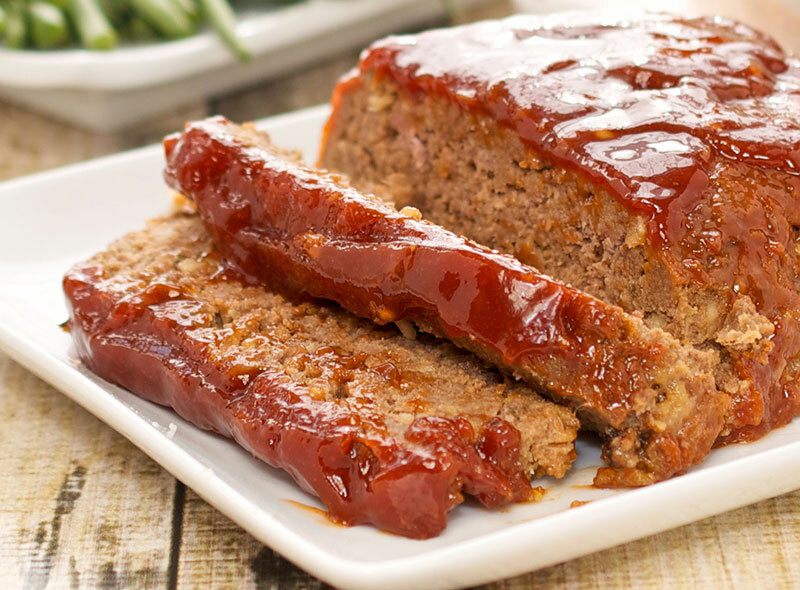 This is a great way to kick up your favorite meatloaf! Very easy recipe and only takes about 20 minutes of prep time at most. It does take an hour to cook though so make sure you start early enough to have dinner on the table in time. My kids act like they are dying if they have to wait longer than usual LOL. Preheat oven to 350 degrees. Lightly grease a 5×9 inch loaf pan. Press the brown sugar in the bottom of the prepared loaf pan. Then pour the ketchup over the brown sugar. Bake in the preheated oven for about an 1 hour. The juices should be clear at the bottom of the pan!